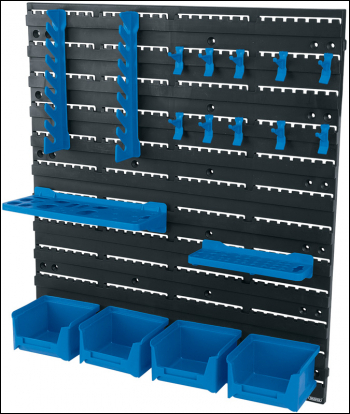 Wall mounted storage board with spanner holder, four bins, screwdriver holder, 10 hooks and insert bit holder. Bin sizes 102 x 100 x 60mm. Carton packed.